As a philosopher, whose theory about economics and business is systematically connected to a moral and political philosophy, Aristotle provides a rich conceptual framework to reflect upon personal well-being, the wealth of households, and the welfare of the state. Even though Aristotle has mainly been portrayed as an enemy of business, interest in his teachings has been on the rise among management scholars. Several articles have examined Aristotle’s position with regard to current managerial approaches such as total quality management, knowledge management, crisis management, and networking. 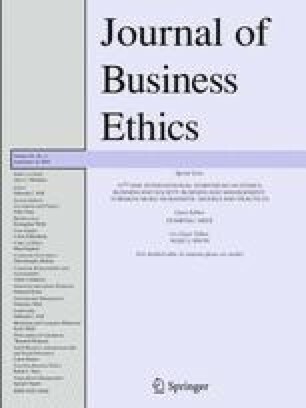 Even though Aristotle is a constant reference point for business ethics scholars, only rarely have there been attempts to see what consequences his thinking would have for reorienting business philosophy and organizational strategy. In this study, we will outline how Aristotle’s theory of household management can be applied to the management of modern corporations. We argue that conceptions of chrematistike and oikonomia provide a basis to discuss the relationship between business and society and to draw important conclusions for business management. 2.Graduate School of BusinessFordham UniversityNew YorkU.S.A. 3.Psychology DepartmentGraduate School of Arts and Sciences, Harvard UniversityCambridgeU.S.A.